Jackson-Madison CS (12/4/18) - The Pro-Tektor®, Inc.
JACKSON, Tenn. — Jackson-Madison County Crime Stoppers is adding a new tool to their arsenal to combat crime. Wanted posters and public service announcements are just some of the things that can be found on the new Jackson-Madison County Crime Stoppers kiosks. Jackson Madison County Crimestoppers will be the first in the region to try it out. It is also the first one in the state of Tennessee. Officials say this kiosk will also act as a deterrent. 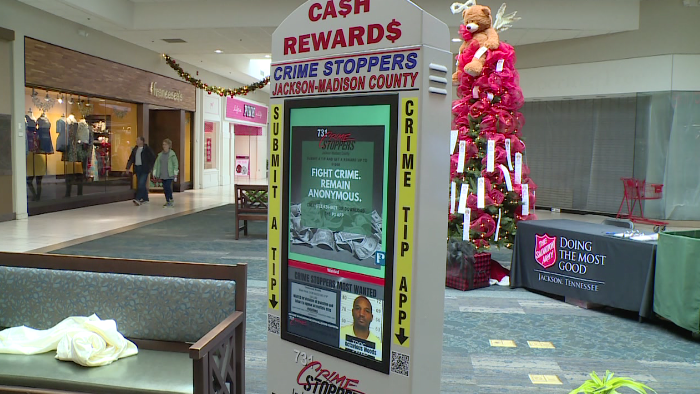 Jackson-Madison County Crime Stoppers has only purchased one kiosk so far, but they expect this initiative to grow in popularity and support. To report crime tips, you can contact the Jackson-Madison County Crime Stoppers at 731-424-TIPS (8477).